Fillers in One Piece – One Piece is a popular manga adapted into an anime. Its version of anime also popular around the world and often regarded as the best Japanese anime series. Story of One Piece follow Monkey D. Luffy, a young pirate captain and his crew in Strawhat Pirates that explore Grand Line sea to find world’s ultimate treasure known as ‘One Piece’ in order to become the next Pirate King. First One Piece manga published in 1997 and since then there are hundreds One Piece chapters and volumes. With pirate world setting, there are many One Piece characters, including pirates crew, marine, world government and other characters. The anime series of One Piece is produced by Toei Animation and has reached more than 800 episodes. One of the most common problem for anime watchers is filler episode. As we know that each episode of One Piece is either canon or non-canon (filler). Canon is the original material that was stated by the writer in their work. While non-canon or filler is additional scene or episode create specifically for anime. So why filler exist in the first place? Filler were added to prevent the anime from catching up with the manga. In other word, filler just additional story which there is no correlation or importance to One Piece main story (canon). So none of the fillers have any connections to the canon storyline and you can skip it. For the manga reader can distinguished between canon or filler episode. But for anime-only watchers, it is hard to distinguished it. They often annoyed with fillers story. So in order to avoid filler, here are list of fillers in One Piece from first episode to present episode. We now that Loguetown is not filler arcs, but there are 2 filler episodes in this arcs. It’s just minor filler, you can skip it or watch it. It is the first major filler arcs in One Piece. It takes place after Loguetown arc before Strawhat Pirates enter into Grand Line. There are 7 and a half filler episode in this arc. The second half of episode 61 is cannon. There are several filler episode in Alabasta arc in episode 93, 98, 99, 101 and 102. But you must pay attention that in several filler episode, there are canon scenes, even the important ones. 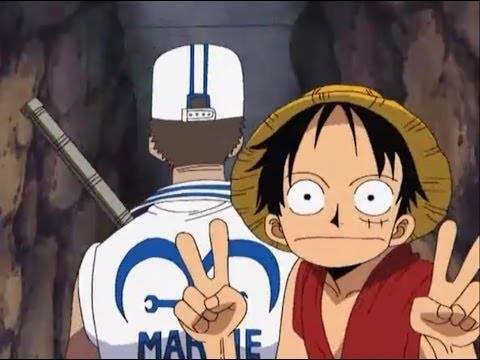 For example in episode 101, mostly it is filler but at the end there are important scene when Ace give Luffy his vivre card. My suggestion is you watch all fillers in Alabasta. It’s not bad to watch and add story depth throughout the arc. The Post-Alabasta takes place right after Alabasta arc, specifically after Nico Robin join Strawhat crews. There are 5 episodes in this filler arc. Goat Island arc is filler arc in One Piece. It consist 3 episodes. There’s nothing interesting and you can skip it. Ruluka Island arc takes place right after Goat Island arc. Both are fillers arc. There are 5 forgettable episodes in this arc that you can skip. Many One Piece fans said that G-8 arc is the best filler arc in One Piece and I couldn’t agree more. It takes place right after fell from Skypiea. If you have spare time you can watch this arc. In the battle between Strawhat pirates and Foxy pirates, there are several filler episodes which are episode 213 to 216 and additional Foxy’s Return arc in episode 225 to 228. I suggest you to watch it because this filler arc create some events change in the cannon story. There’s no point to watch this filler arc. Ocean’s Dream arc consist 5 episodes and I suggest you skip it. Filler about Chopper Man, Tony Tony Chopper alter ego. Skip in episode 279 and 336. You can say it as filler or just flashback. Either way, just skip to episode 284 to move story forward. I don’t what the point of this filler. For episode 291, 2912 and 303, it takes place in the middle of Enies Lobby arc, one of the best One Piece filler. Filler episode 406 and 407 takes place in Shabaody Arc. Just skip it to save your time. Just 3 episodes in Post-Enies Lobby filler arc. If you have spare time, you can watch it. Another major filler arc story. There are 5 episodes in Ice Hunter arc, from episode 326 to 335. It takes place just before Thriller Bark arc. Spa Island arc takes place after Thriller Bark. It it also the first arc for Brook as Strawhat crew. Just 3 episode so it’s okay to watch it. Little East Blue arc consisting 4 episodes from episode 426 to 429. It is special episode leading into One Piece Film: Strong World. If you want to watch the movie, you probably should watch this fillers first. Special crossover episode by One Piece and Toriko (episode 492 and 542) and with Dragon Ball (epsode 590). If you Toriko fan or Dragon Ball fan, you probably liked it. In Luffy’s childhood arc where he grown up with Ace and Sabo, there are filler episodes too. It’s not bad actually and add story depth between Luffy-Ace-Sabo, so you maybe liked it. Z’s Ambition arc consists 4 episodes. This filler arc is a set-up arc for the One Piece Film: Z. If you want to watch the movie, go watch the fillers first. This filler arc takes place after Punk Hazard arc and before Dressrosa arc. Don’t waste your time, skip it. Silver Mine arc is a filler arc that takes place after Dressrosa arc and just before Zou arc. This filler is pretty watchable and we see more about Bartolomeo character. Marine Rookie arc is the latest filler in One Piece. It takes place after Zou arc and before Totto Land arc. How to Watch One Piece Without Filler? So how to watch One Piece without filler episodes? Some filler episode in One Piece also have cannon scene so we can’t just skip all filler. Here are our filler guide to watch One Piece anime in order without filler, but not affect the main story. There are several filler episode in Loguetown, Alabasta, Post-Enies Lobby, Long Ring Long Land and Dressrosa that we include in watchlist. That’s because the filler is have canon scene and affect main story. Those are our One Piece filler list guide, so you can watch One Piece anime without suffering to watch the filler story. We agree that filler episode is very annoying. So you just skip it to save your time.